It only takes a couple years to adjust to the blistering frigid temperatures and just want to look cute. You are officially a Chicagoan! AWW YAY!!!!!!!!!!!!!! I am so happy to hear it!! Those first 2 years though man I would be near tears heading out to work every morning! I look like the biggest a hole in hats so like...I need to figure it out. want to share some cold weather with san diego? it's supposed to be 90 today and that makes me want to cry. I love those gray pieces! They look so warm and cozy. I've always loved beanies but I look like such a dork in them! I agree - In the winter when all people see are your coat and your extra warm accessories, it is important to kick the outerwear up a notch! 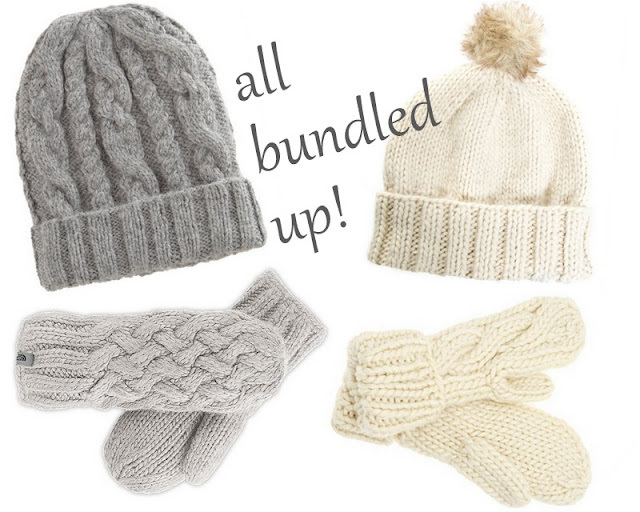 I want to invest in a matching hat/scarf and leather gloves from J.Crew this year!